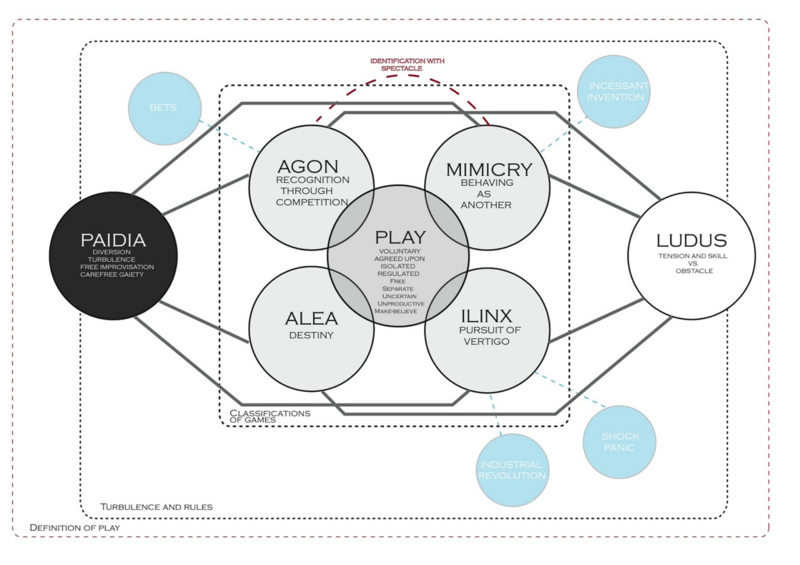 1) Play ‘Unleashed’: Based on the foundational work on play, games and culture, consider how theories of play and games might inform our understanding of ludic epistemology and significant (engaged) learning: What and how do people come to know and learn and design/create or construct knowledge, art, and culture through “play”. This will involve a bit of philosophical speculation on your part. Questions: How might we create educational conditions that invite learners to engage and “do” ludic epistemology? What are the conditions and kinds of challenges that might invite people to learn through serious play, invest ongoing attention within the hard work of serious play? And how might theories of play serve as forms of critique of traditional education methods that compartmentalize play or see it as separate from the “work” of “educating” students? By implication, how might ludic epistemology address the problem of disengagement in schools today? Try to integrate a few key quotes from their (H & C’s) texts into your own discussion of play, games, learning. 2) Game-Play Analysis: Theories of Play. Part 1: Your task is to ‘define’ play and/or games ala Caillois and Huizinga (consider borrowing or modifying or critiquing or extending key concepts and ‘classifications’ from their work). Try to integrate a few key quotes from their texts into your own discussion / definition. Then, using that definition of play, hop online or turn on your console and find a game to investigate. 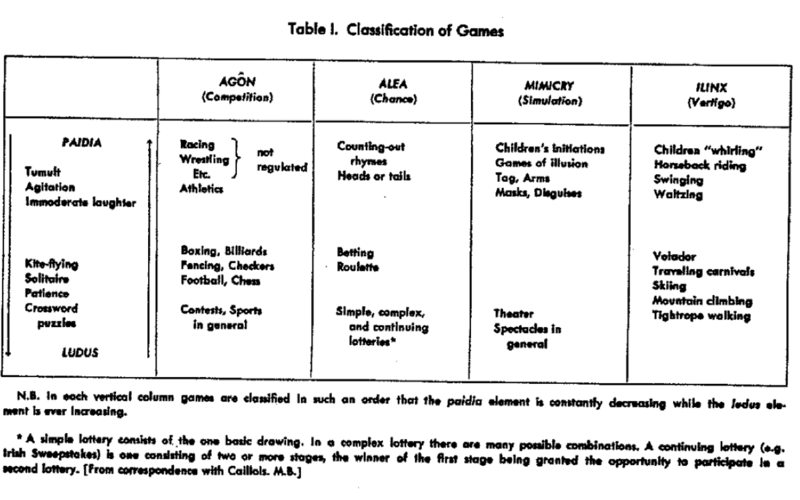 Then, figure out the rules and what you think the core element(s) of ‘ludus’ and how that creates conditions of ‘play’ is (see, for example, Caillois’ “classification” system below). Your job is to really think about what constitutes ‘playing’ in an online or console or other kind of game and to write a bit about that experience (in relation to definitions of play).